The 16th annual Tallgrass Film Festival takes place Oct. 17-21, 2018, in and around downtown Wichita, Kansas. New to film festivals or Wichita’s film festival? Here’s a quick primer on what to expect at one of the country’s top film fests. 1. 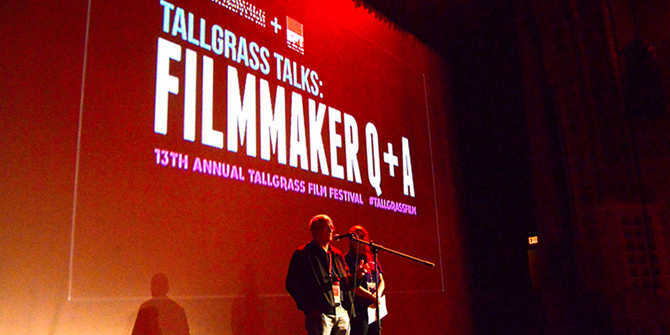 What is Tallgrass Film Festival? Tallgrass Film Festival is devoted to independent film – those made with smaller budgets and outside the Hollywood system. There will be roughly 200 selections including narratives, documentaries, animated, shorts and foreign films. Beyond films, expect parties, panel discussions on a range of industry topics and Q&A sessions with visiting filmmakers. 2. Who attends Tallgrass Film Festival? Through its first 15 years, Tallgrass Film Festival has become a favorite of both filmmakers and movie-lovers. More than 16,000 patrons will attend the five-day movie festival (Wednesday-Sunday), including more than 100 visiting filmmakers. 3. What films will I see? 4. How can I attend Tallgrass Film Festival? You can attend Tallgrass Film Festival by buying individual tickets for any film you want to see or by purchasing a packages or pass. These range from a one-day binge passes to the VIP TALLPass that includes access to everything the film fest offers: five days of film, parties, panels and VIP lounge access. The TALLPass is already on sale and a select number are available at the discounted price of $210. Once that supply runs out, they’ll increase to the regular price of $250 per pass. Make plans now to attend Tallgrass Film Festival, one of the top annual Wichita festivals. See you at the movies!